The Madhouse Effect: How Climate Change Denial Is Threatening Our Planet, Destroying Our Politics, and Driving Us Crazy | The Madhouse Effect: How Climate Change Denial Is Threatening Our Planet, Destroying Our Politics, and Driving Us Crazy | Dire Predictions | The War on Science | Climate Change | Merchants of Doubt | Dark Money | The Hockey Stick and the Climate Wars | The Sixth Extinction | Why Are We Waiting? 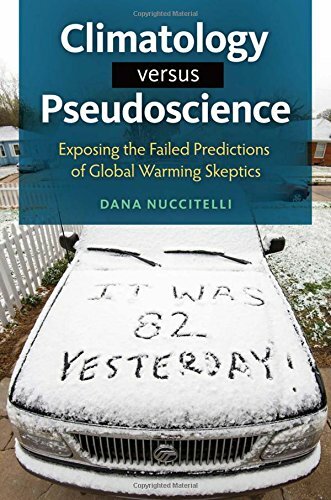 This book explains the science of climate change in plain language and shows that the 2 to 4 percent of climate scientists who are skeptical that humans are the main cause of global warming are a fringe minorityÃ¢ÂÂand have a well-established history of being wrong. About: This book explains the science of climate change in plain language and shows that the 2 to 4 percent of climate scientists who are skeptical that humans are the main cause of global warming are a fringe minorityâand have a well-established history of being wrong.